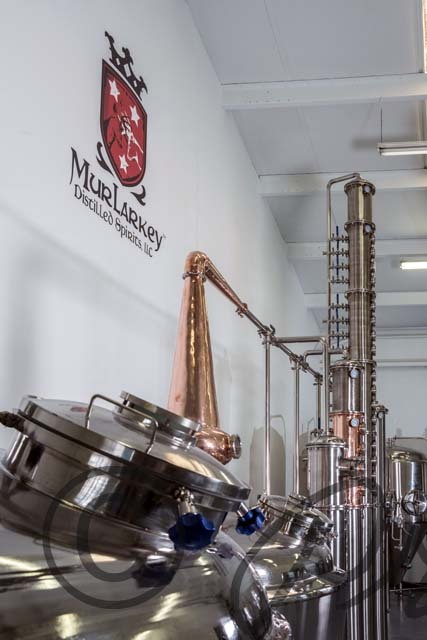 When second generation Irish-American cousins, Tom Murray and Mike Larkin, put their business expertise and their passion for food and beverages together, they created MurLarkey Distilled Spirits LLC in Bristow. “Starting with a meager 23-gallon copper still and a dream, the cousins, along with a small team of family, friends, and experienced business professionals, set out on a journey to create a legacy,” said Jim Curry, chief marketing officer at MurLarkey. The legacy referred to is that of their grandparents, who immigrated from Athlone (a town in Ireland) to Boston, worked hard to raise their family and, ultimately, passed down the family recipe for whiskey for generations to come. The Kelly grandparents’ recipe had many different forms, including one made from potatoes and others made from grain and corn, but family and friends considered them all to be excellent, so the cousins set about creating their business. “After many months of planning, building of the still works, design and fit up of the tasting room, and developing the brand and messaging, the distillery opened its doors in January 2016,” Curry said. Paying homage to their Irish heritage, Murray and Larkin joined their names with that of their grandparents (Kelly) to create Mur-Lar-Key, a coincidentally close resemblance to the Irish word ‘malarkey,’ meaning fun or foolishness. While the name may be a play on words, the mission of the business is not. “The mission of MurLarkey is a simple one: to produce and deliver the highest quality, all-natural, handcrafted spirits possible. We take great pride in our painstaking process to ensure the quality and consistency of our award-winning, premium spirits,” said Tom Murray, founder and CEO of MurLarkey. MurLarkey offers five hand-crafted-in-Virginia, all natural, gluten-free spirits. If you are a connoisseur of whiskey or gin, MurLarkey may just be the place for you to visit in Prince William. With five handcrafted-in-Virginia, all natural, gluten-free spirits available, your taste buds may be in for a treat. The menu includes Divine Clarity®, a pure potato vodka, ImaGINation™, a handcrafted gin, Justice ™, a white whiskey made from Virginia corn and barley, Clemoncy®, a whiskey infused with lemon peels while in white oak barrels, and Cincerity ®, a whiskey poured over all-natural cinnamon sticks and left to infuse in white oak barrels. Of course, if you do not want to drink whiskey and gin on the rocks, MurLarkey has a complete menu of alcoholic concoctions for you to choose from. “My favorite drink is the Aviator,” said Meredith Williams of Woodbridge. Made with ImaGINation, fresh lemon juice, maraschino liqueur and simple syrup, this drink is one of approximately 16 menu offerings at the distillery. Some other recipes include The MurLarkey Mule, Clemonade, and of course The MurLarkey Cinnamon Irish Coffee. Located on Gainsford Court in Bristow, the distillery’s location was chosen for its proximity to Civil War heritage tours, Jiffy Lube Live music venue, great shopping and golfing as well as dining. 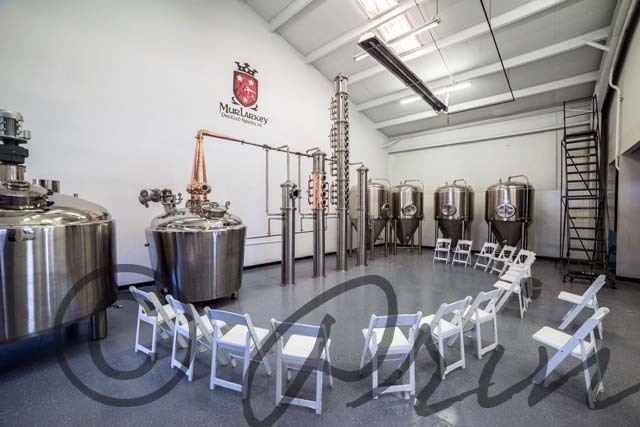 “Along with Civil War historic destinations nearby and an up and coming attraction for micro brewery and micro distillery tours, MurLarkey Distilled Spirits LLC is quickly becoming a destination for tourists and locals alike. The Jiffy Lube Live concert venue is only a mile away, and there you can enjoy MurLarkey spirits exclusively in the VIP lounge,” Curry said. “Our distillery tours are a great way to learn about the distilling process and how we make our 100% all natural spirits,” Curry said. With each tour lasting approximately 30-45 minutes and the tasting lasting another 20 minutes, it is definitely worth the $5 it costs (prices vary based on the spirits or flight you choose). Staff guide people through the distilling process from start to finish, allowing people to look at the equipment close-up and ask any questions along the way. Also offered is an event location where private parties can be held. With an impressive 1,700 square foot rental space and a 36-foot bar overlooking the distillery, the Observation and Tasting Room can accommodate up to 60 people for an event. Cousins Thomas Murray, Michael and James Larkin, along with George “Papi” Zwetkow, Marc Cucchiaro, Ian Purcell, James Curry, Jesse Puckett and Paul Roberts have teamed up to create something truly special, according to the website. You can find out more about MurLarkey at murlarkey.com or on Facebook by searching MurLarkey Distilled Spirits. 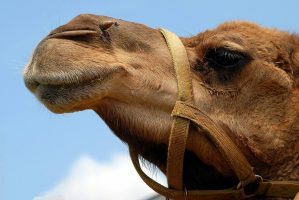 A graduate of American University’s School of Communication, Olivia Overman ([email protected]) is a freelance writer for both online and print publications.